This post includes my evolving process for creating a blog post. It continuing my theme of how to get out of the dilemma of being “too busy to stop being too busy”. The story so far is that the solution requires us to make use of ready-made systems and processes. In my previous post – 3 Process Documentation Approaches For Digital Marketing – I focused on the process side rather than the systems side, and mentioned that, for simple processes, I tend to use something like Evernote. In this post I finally give a specific example of a process. Aptly enough, it’s the process I’m using right now for creating a blog post! Not really. Take a look at all the steps I’ve identified. Think about measuring performance – update the Business Measurement process? This documentation of a process for creating a blog post example illustrates a number of interesting points. Three of the links go to other Evernote notes which define how to go about performing specific subtasks. It’s important for any single piece of documentation to not get too large. You want to divide a process into chunks of guidance that are reasonably self-contained and cognitively manageable. I’m evolving and building my process documentation as a parallel activity to following and applying the documentation. And also as a parallel activity to evolving the processes themselves. You can see that I’ve included notes to myself about how the documentation needs to be changed. When my goal is to actually write a blog post, I’ll allow myself to get distracted to modify the documentation – but only up to a point. If the distraction seems that it might stop me getting the blog post completed in time, I’ll just make a note of what I think needs to be done and move on. Eventually the documentation becomes reasonably stable – but it’s never cast in stone. Including links to specific resources and my own working documents is one important way that this type of documentation improves my efficiency. This example shows very clearly the difference between personalised process documentation and standard “how to” guidance. The latter is what you might find on a website as a PDF. As well as including links to my own working documents, there are steps in here that are very specific to my own operation – such as the step related to the use of Kartra forms. In the next post I’ll probably include an example of a process documented in Google Sheets. The example that I’ll use clearly demonstrates why I have to use Google sheets rather than Evernote. Have YOU created documentation of a process for creating a blog post? 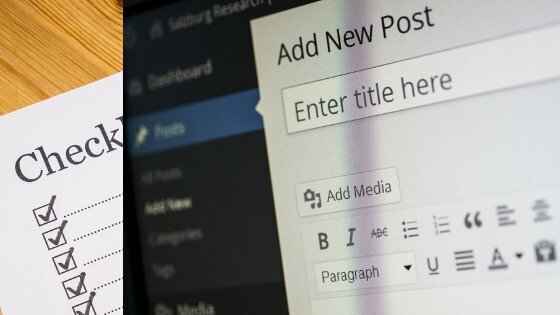 Do you think you’ll be able to make use of this process for creating a blog post – probably in some modified form? Do share your ideas and feedback in the comments.